The moving, humane tragedy of a deeply flawed and self-destructive man, The Mayor of Casterbridge is the story of Michael Henchard, who sells his wife and baby daughter at a country fair in a fit of drunken anger. Over the following years he establishes himself as a respected pillar of the community of Casterbridge, but cannot escape his shameful past - or himself. Subtitled 'The Life and Death of a Man of Character', Hardy's intense drama, tragically played out against the rituals of a close-knit Wessex town, is one of his greatest works. Formerly a prize-winning architectural student, Thomas Hardy (1840-1928) went on to become a prolific novelist and poet. 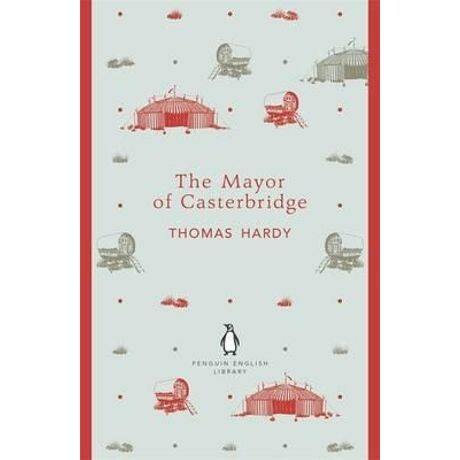 The Mayor of Casterbridge is a powerful and sympathetic psychological study of a heroic but flawed man, set against the compellingly vivid backdrop of a close-knit Dorsetshire town. Hardy's novels Under the Greenwood Tree, Far from the Madding Crowd, The Return of the Native, Two on a Tower, Tess of the D'Urbervilles and Jude the Obscure are also published in the Penguin English Library.